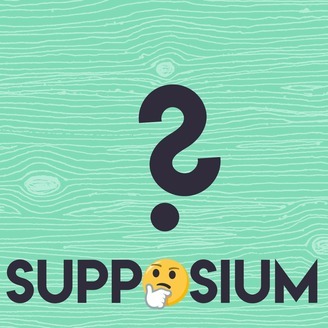 Hey, welcome to the Supposium! It's an audio museum, where week to week we ask and answer bizarre and oddly specific questions and put them on display, for you, the listener! 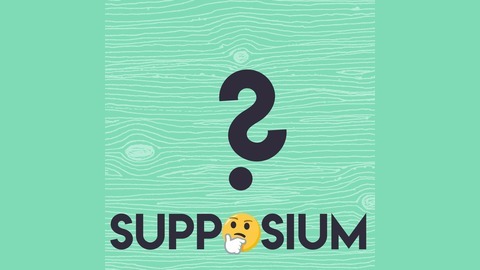 Contact us on Twitter through @supposiumcast or using the hashtag #asksupposium! Special thanks to Space Orphan for the use of our theme song, Cuatro de Marzo! Send them some love: www.spaceorphanmusic.com/ You can also send questions, comments, and suggestions to supposiumcast@gmail.com! Episode 3: What if Todd Was One of Us? Welcome back yet again, dear listener! This week's tour brings us to a lot of bizarre places, including a trough full of mayonnaise, a bag of apocalyptic lemon bars, a new brand of deodorant that smells like adultery, and exposing everybody's favorite alien, Todd. If you're interested in buying the lemon bars that Tony was talking about on the show, here's a link to them on Amazon: https://www.amazon.com/dp/B00NGYGCH2/ref=psdc_7491113011_t1_B01H5SF8AG Contact us on twitter @supposiumcast, or using the hashtag #asksupposium, or email us at supposiumcast@gmail.com. We also have a Facebook page!